South Clackamas Transportation District Chair Dave Weber recently announced the retirement of Shirley Lyons, who had held the position of District Manager since the SCDT's inception in 1989. Her job will be taken over by Tom Strader, whose extensive experience includes 17 years at TriMet, where he most recently managed Fare Policy and Programs for TriMet's Public Affairs division. Among his other activities, Strader helped design and manage projects including leading the implementation of the nation's first multi-modal transit ticketing application for smart phones. He also served on the steering committee for the region's new smartcard-based electronic fare collection system, Hop Fastpass. 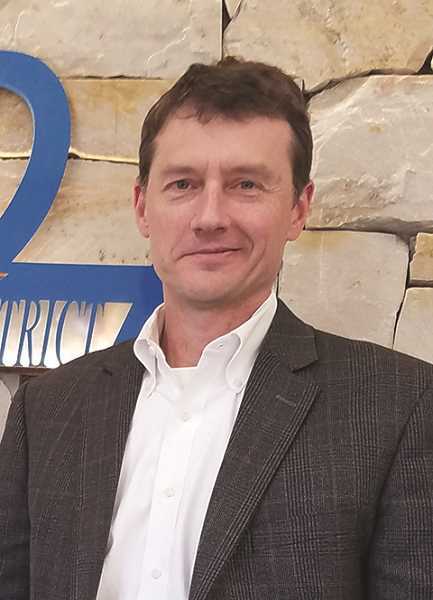 "We are excited to have Tom on board to guide SCTD in the future, continuing the strong leadership of the District established by our previous manager, Shirley Lyons," said Weber. Strader is from the area. He graduated from Molalla High School and has a degree in Public Administration from Portland State University. He also attended Whitman College. South Clackamas Transportation District operates between Molalla, Clackamas Community College and Canby. It connects with other regional transit provided by TriMet and Canby Area Transit as well as the CCC Xpress Shuttle. Its fare is $1 for routes to Canby and CCC and free within the city of Molalla.